Hotkey – Inventory switch hotkey. 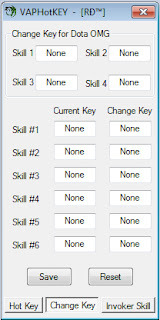 Change key – moving the users skill, skill for dota LOD, OMG. 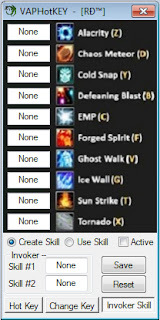 Invoker Skill – create and use invoker skills quickly. Support the Space key and some other special keys. Chat normal when using hotkey.